Act FAST. That’s the #1 thing to keep in mind if you suspect someone is having a stroke. Every moment counts, and quick action saves lives. Every 4 minutes, someone in the U.S. dies of stroke. FACE muscles may droop, and the person’s face could look confused or disoriented. ARMS and legs lose balance, especially on one side, with trouble walking. SPEECH is slurred and their words are difficult to understand. TIME is critical. Seek emergency care immediately. In the same way that the heart can have a heart attack, the brain can have a “brain attack”: a stroke. When blood flow to the brain is restricted, a cascade of problems occurs throughout the brain and body. Depending on the length and severity of the stroke, muscle damage and paralysis may be temporary or permanent. In the most severe cases, called hemorrhagic, a brain aneurysm bursts or a weakened blood vessel leaks. Hemorrhagic strokes can lead to death. Every 40 seconds, someone in the U.S. begins to have a stroke. What happens to them in the following few minutes could change their lifetime health outlook and affect their chance of survival. By dialing 9-1-1, a friend, family member, or bystander can ensure a stroke patient gets urgent help. When a patient reaches emergency care, staff can immediately take steps to limit the damage done by a stroke. Most significantly, they can administer tPA, a clot-busting medication. This drug can only be given within three hours of the onset of stroke symptoms. That’s why urgency makes all the difference. If you see someone with just one or two signs of stroke, don’t wait to see if they develop all of them. A stroke could already be impacting their brain and body. To support public recognition of stroke symptoms, the Centers for Disease Control produced a short YouTube video that explains the FAST philosophy and how to quickly recognize the primary signs. Take a moment to familiarize yourself, and you’ll know the signs immediately when you see them. 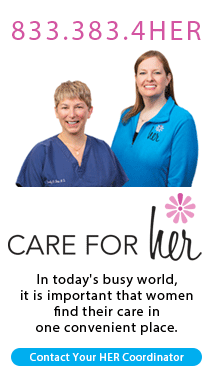 During and after a stroke, Johnson Memorial Health provides excellent care. 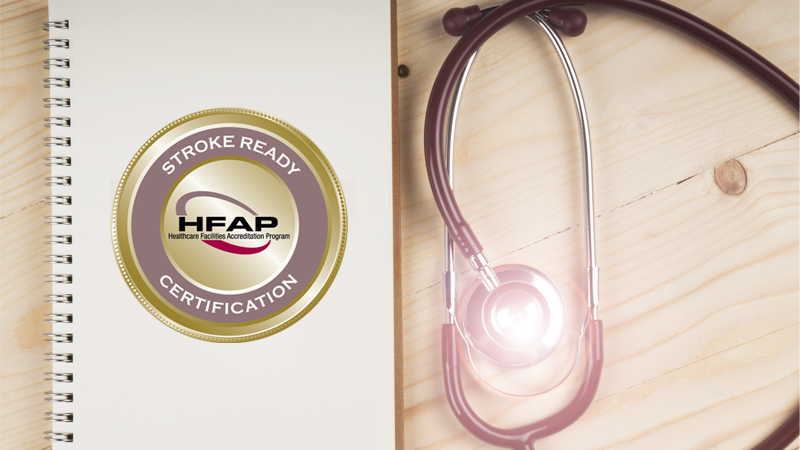 JMH staff was recently awarded Stroke Ready Certification by the Healthcare Facility Accreditation Program, becoming the first Stroke Ready Certified Center accredited by HFAP. Call 9-1-1 if you suspect a stroke, and let the experts do an evaluation. Contact Johnson Memorial Health for more information about strokes and stroke aftercare.